In 1981 Peter Vallance purchased forty acres of land at Orchard Farm, very close to Gatwick Airport's runway 08 threshold, in the Surrey village of Charlwood. From this date on Peter was in constant dispute with Mole Valley District Council over the thorny subject of planning permission. 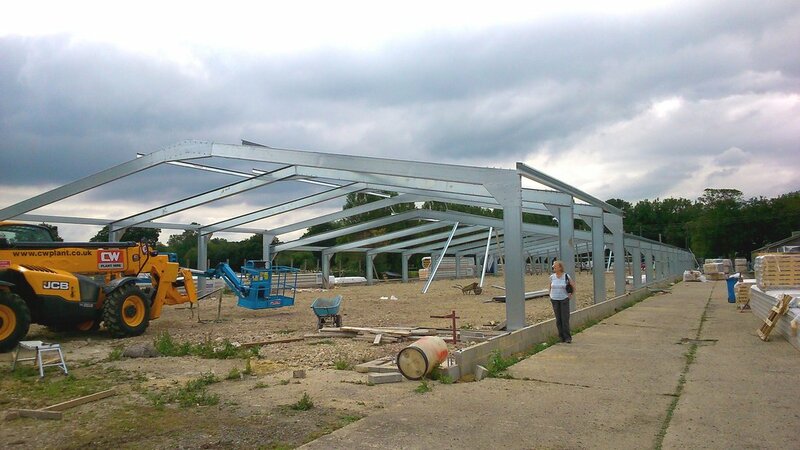 Peter set about turning the rundown poultry units on the site into business units and very soon there were a dozen small companies trading, he also purchased a further thirteen acres of land to add to the initial forty. Around this time the land was designated as Green Belt and its current use was deemed to be in breach of planning consent. From this, an on-going battle with the Council developed over planning, with temporary permission gained for four years to lessen the impact that a previous notice to to cease trading would have had on the businesses already established at the site. This is a familiar story of a strong willed individual taking on the system which in most cases is faceless and intransigent. In October 1987 Peter brought Hawker Sea Hawk FB.3 WM983 to the site to act as a gate guardian. This aeroplane was the first of many that found their way to Orchard Farm and in all but name a museum was established. In 1989 the temporary permission expired and an application was put in to Mole Valley to allow the continued use of the trading estate, this was refused. In January 1992 Peter decided that a hangar was to be built for his museum and that he would be opening to the public. 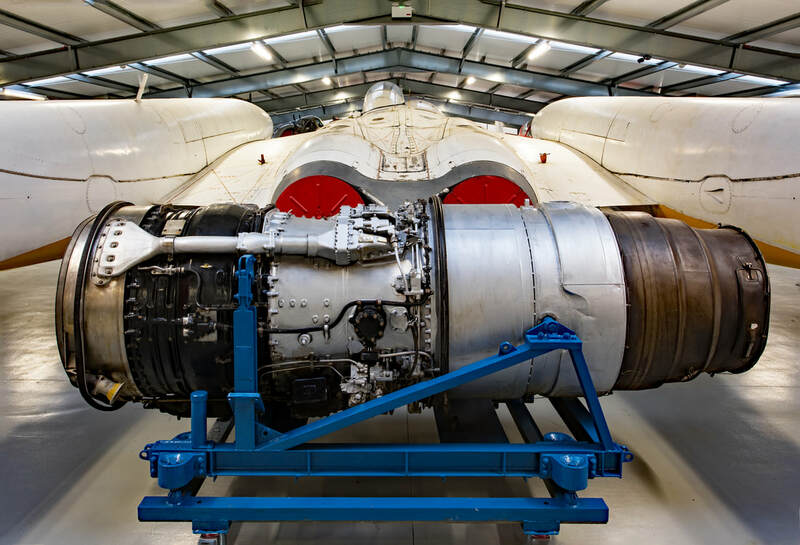 Mole Valley District Council held an enquiry, deemed the trading estate could stay but all the aircraft were to be removed within twelve months. Peter did not comply with this ruling and in 1994 council enforcement action commenced but a period of grace prevailed for a time. 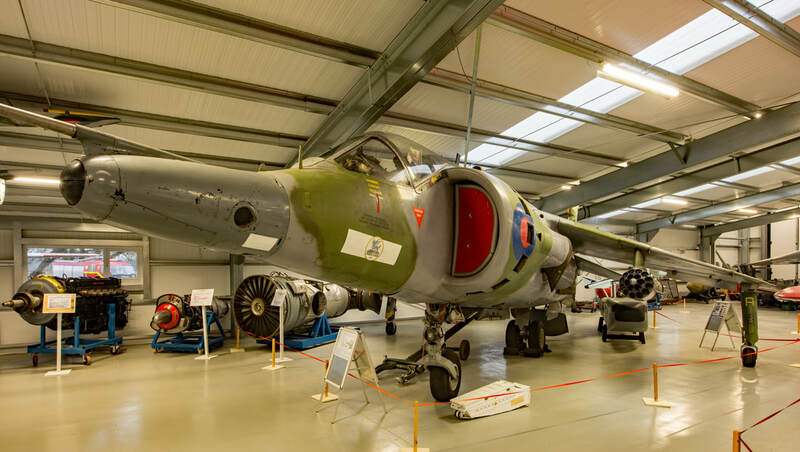 In 1997 thought was given to moving the collection to Shoreham but this did not come to fruition, so it was in 1999 Gatwick Aviation Museum was launched with April 2004 seeing regular Sunday opening commencing, all without official approval. February 2001 saw Peter again applying for planning permission, with a view to getting the aircraft under cover. The results were the same, some would say foreseeable and a cycle of appeal and refusal was set in motion which went on until Peter's death on 14th January 2013. 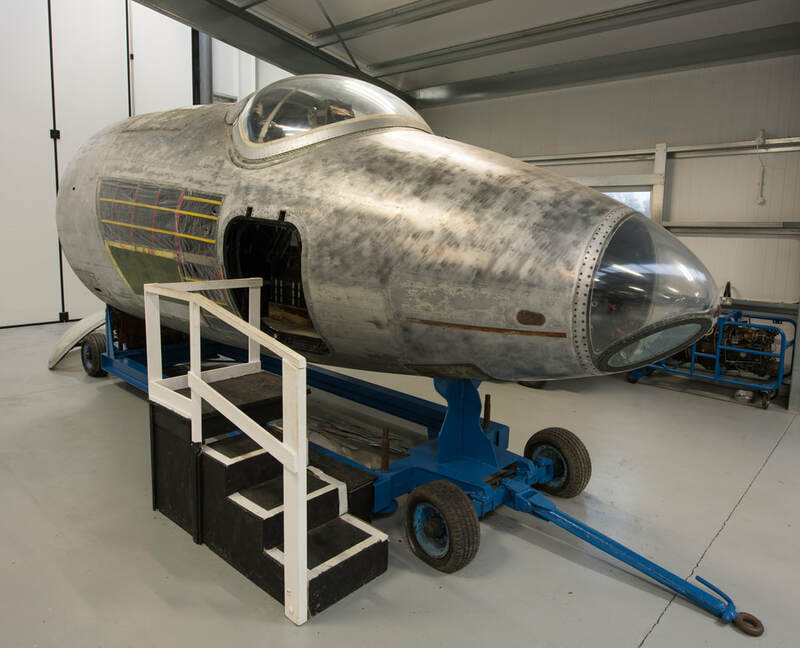 Provisions had been made for the aircraft to be passed to a trust, with the trustees and volunteers continuing with Peter's vision of establishing a permanent collection at the site. The new management sought a less confrontational approach to Mole Valley which in the end yielded results. The collection of aircraft was slimmed down from the spring of 2013 through to the summer of 2017 with less relevant airframes being sold off. This entailed that they had a better chance of survival with other organisations. A further application was put into Mole Valley to build a display hall, which was accepted and soon construction started on the next chapter in the museum's story. The Hall opened on 25th March 2016 and is a true credit to those who have made it happen, as well as wonderful memorial to Peter and his dogged determination to succeed. 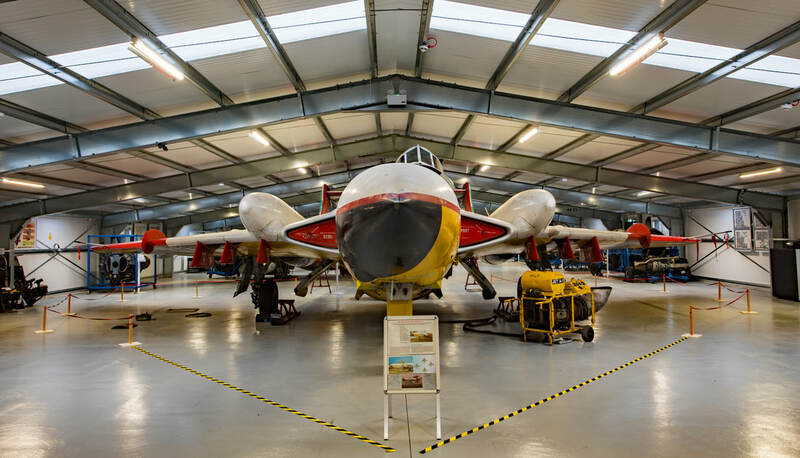 ​​Anyone with an interest in the aircraft and history from the Cold War era is encouraged to visit the museum as it will be sure not to disappoint. 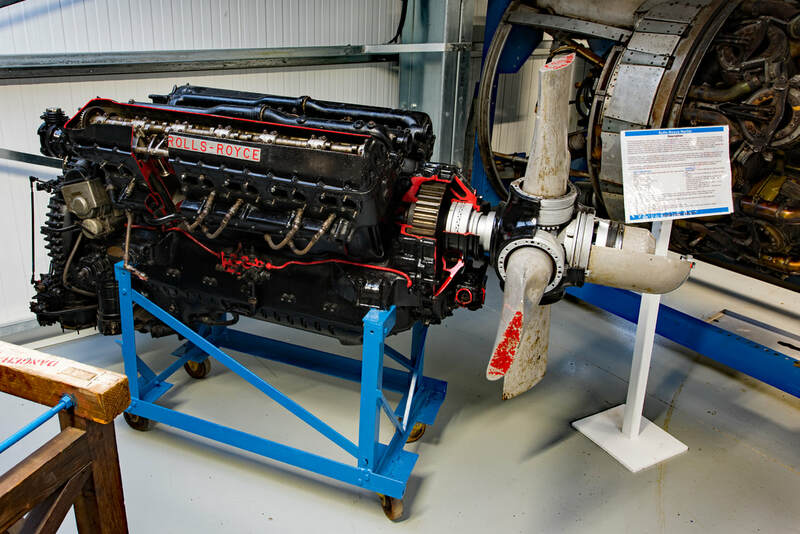 The museum also regularly holds engine runs with BAC Lightning F.53 53-671 and Avro Shackleton MR.3/3 WR382. Information relating to Gatwick's collection can be found below. It is not the purpose of the words to give chapter and verse on the aircraft in question, but to offer an overview of each aircraft's heritage and history. 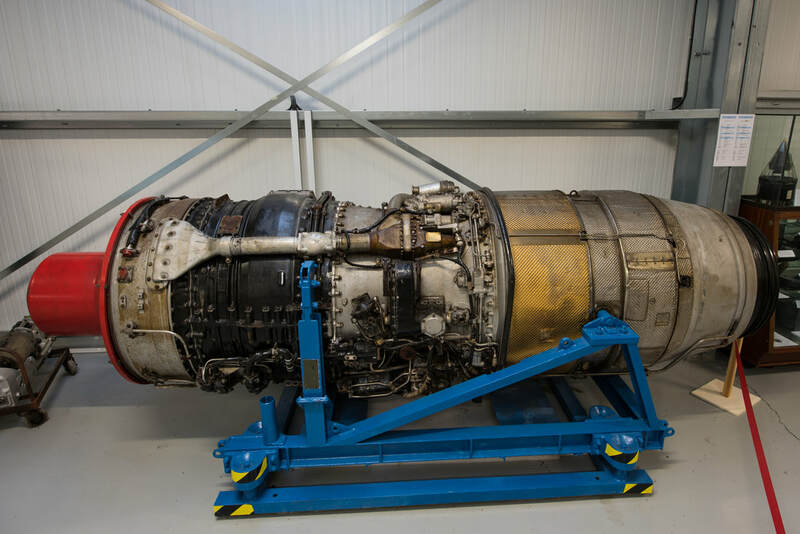 Detailed data on armaments, performance, engines etc, are readily accessible on the internet, or via Gatwick's website, should further reading be required. The de Havilland Sea Vixen is a twin engined, two seat all weather carrier bourne interceptor, used in service during the Cold War by the Fleet Air Arm (FAA). Gatwick's example, XS587, first flew on 4 October 1965 as one of the sixty seven FAW.2 variants constructed. Delivery to the FAA took place on 29 October 1965 with initial deployment to No 893 Naval Air Squadron (NAS), which sailed at the time on HMS Victorious and then to No 899 NAS aboard HMS Eagle. XS587 remained with 899 NAS until the squadron disbanded at RNAS Yeovilton in January 1972. Following active service the aeroplane was converted for drone and target towing duties, at which time it was given a distinctive colour scheme which is still worn to this day. Upon retirement XS587 was acquired by Mike Carlton and registered G-VIXN with a view to keeping the Sea Vixen flying, but Mike died in an aircraft crash in South Africa before this was achieved. Put up for auction Peter Vallance bid and won XS587 which was subsequently transported in September 1990 to Charlwood for display at the museum. 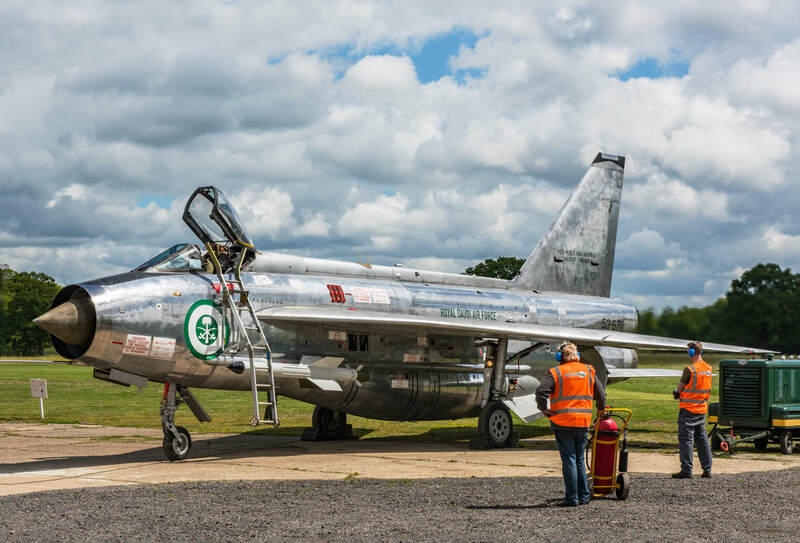 The English Electric/BAC Lightning was the first and last all British designed and built supersonic jet fighter and is one of the countries most iconic aircraft. 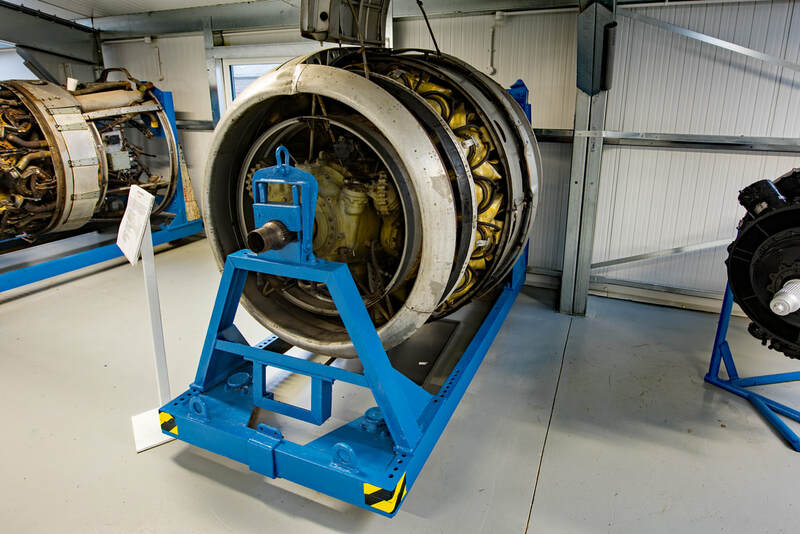 On 20th May 2017 at the Gatwick Aviation Museum the usual sound of airliner turbofans was temporarily eclipsed by a rise in the decibel level associated with an older generation of turbojet engine. With the distinctive sound of an Avpin start, the twin Rolls Royce Avon 302C engines of BAC Lightning F.53 53-671 each in turn spooled up, in what was to be the second planned public run of 2017 for the iconic jet. The Lightning performed well with each successive run seeing an increase in rpm and run times, on this occasion one engine was taken to 80% power. The aircraft is a unique example of the type as it is the only ex Royal Saudi Air Force (RSAF) Lightning that is currently in a live condition, anywhere in the World. 53-671 is one of a batch of Lightnings that were produced by BAC for the export market. The type was based on the F.6 Lightning airframe and avionics, incorporating a cambered wing and a large ventral tank. The aircraft was designed to have multirole capabilities and as such was fitted with additional hardpoints beneath the wings for the carriage of bombs and rockets. 53-671 was delivered to the RSAF from the UK in an operation known as Magic Palm, which took place between July 1968 and August 1969. 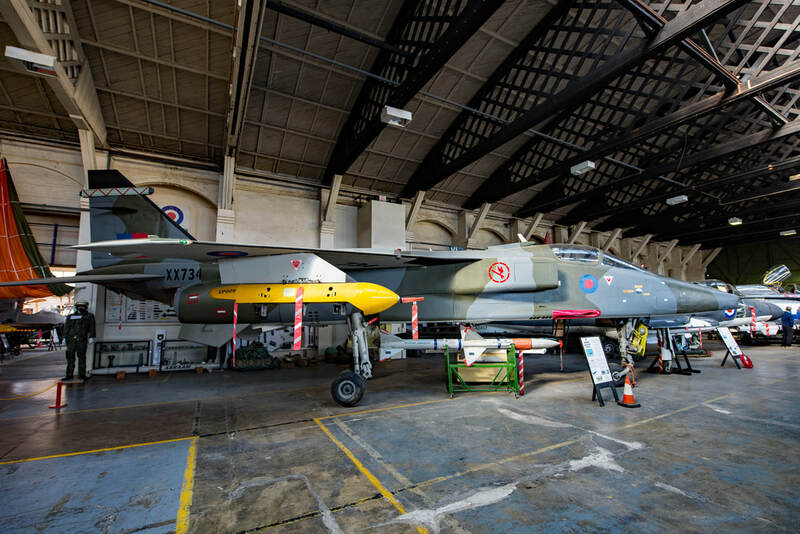 When the RSAF retired the type from service in January 1986 the remaining airworthy Lightnings were returned to the UK and flown to BAe Warton by RAF pilots. There was a hope that the aircraft could be sold on to other foreign air forces but this did not come to fruition. 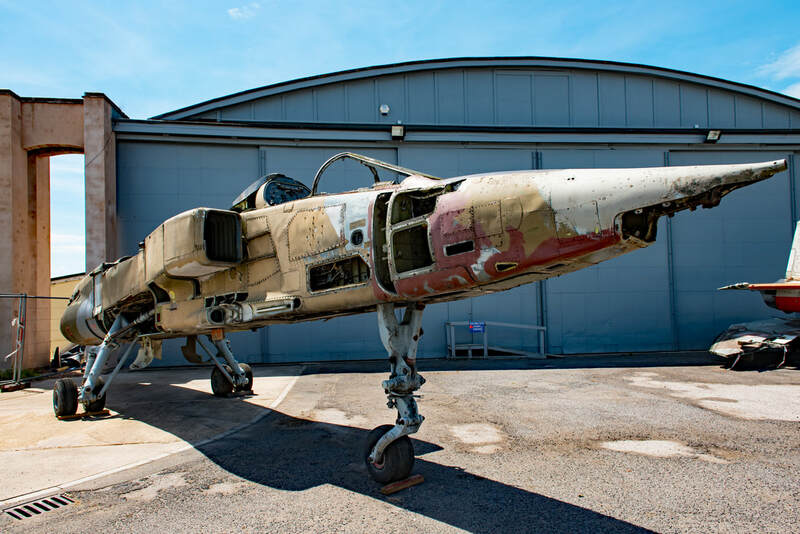 The aircraft were eventually sold off, some finding their way to museums, but most ending up at an MOD disposal yard in Portsmouth. Luckily the salvage yard was owned by a sympathetic aviation enthusiast and most of the Lightnings were saved, although in a dismantled state. 53-671 was one of the Lightnings that survived and was very lucky do to so, as its cockpit was sent off to be used in the filming of a 1998 production known as Wing Commander. In the end the cockpit was not used in the filming and made its way back to the UK to be reunited with its fuselage, however, a fair amount of damage was inflicted by the film crew to wiring looms and system components. XN923 was the second production aircraft in a line that was to become one of Britain's most loved Cold War jets. The Buccaneer was built as a carrier borne maritime strike aircraft that had formidable low level performance. Gatwick's example first flew in March 1962 at Holme-On-Spalding-Moor and was assigned to No 700Z Squadron at RNAS Lossiemouth. In the following years XN923 was used as a trials aircraft at A&AEE Boscombe Down, RAE Bedford, West Freugh & Farnborough. 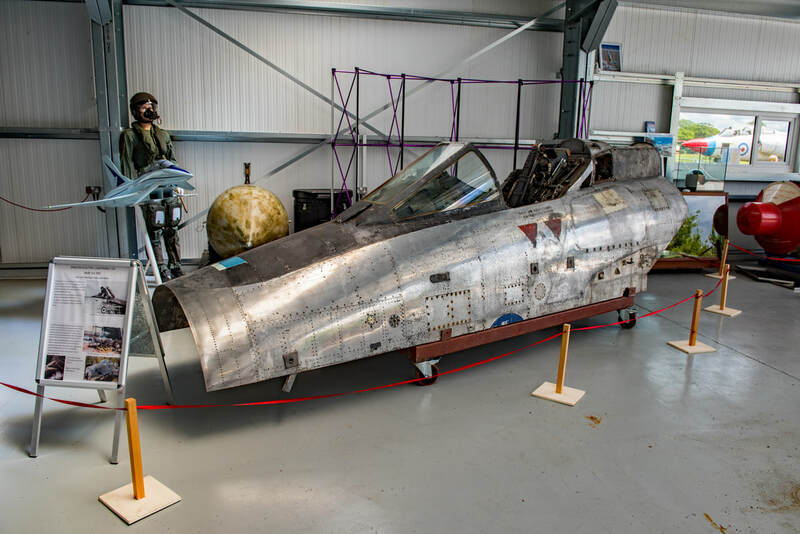 The Buccaneer was struck off charge in May 1974 and ended up as derelict at Boscombe Down, from where the aircraft was purchased by Peter Vallance and transported to Charlwood in March 1990. 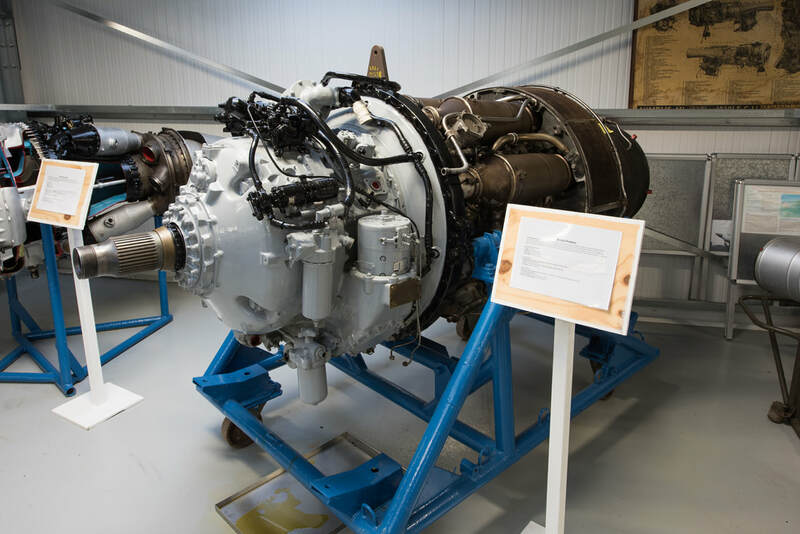 XN923 is capable of running its two de Havilland Gyron engines and is soon to undergo long term restoration, which is expected to take two to three years. The Gloster Meteor was Britain's first jet fighter to enter service with the RAF, in the later stages of World War Two. Gatwick's example is a tandem two seat T.7 variant which was used for training. VZ638 first flew in July 1949 and was assigned to No 500 "County Of Kent" Squadron based at RAF West Malling, before going on to serve with Nos 25, 54, 85, 501 "County Of Gloucester" Squadrons, No 237 OCU and the College Of Air Warfare. On withdrawal from service VZ638 was sold to the British Historical Air Museum at Southend. Upon the museum's demise the Meteor found its way into the ownership of Mike Carlton as part of the Hunter One collection with the registration G-JETM. 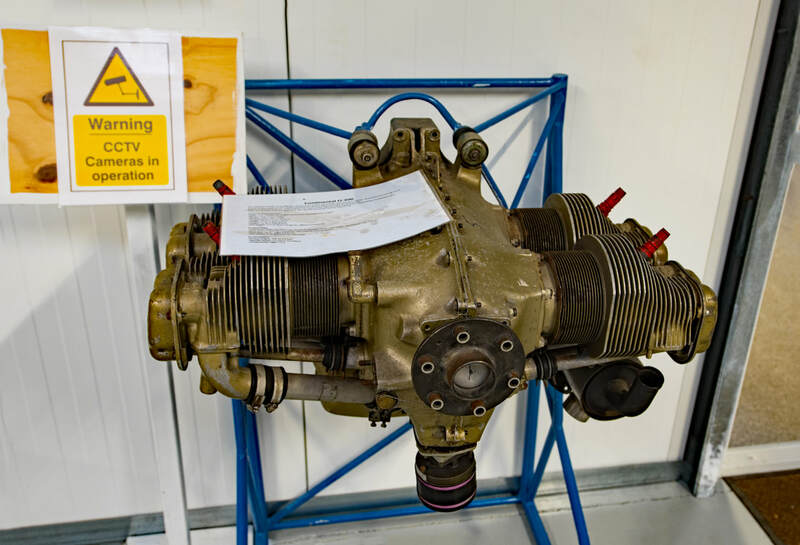 When Mike died the Hunter One collection was put up for sale and VZ638 was purchased by Peter Vallance, who moved the aircraft to Charlwood in July 1988. First flying as the Hawker P1040 in 1948 the Sea Hawk was one of the early generation jet fighter/strike aircraft used by the Fleet Air Arm (FAA) on their aircraft carriers. 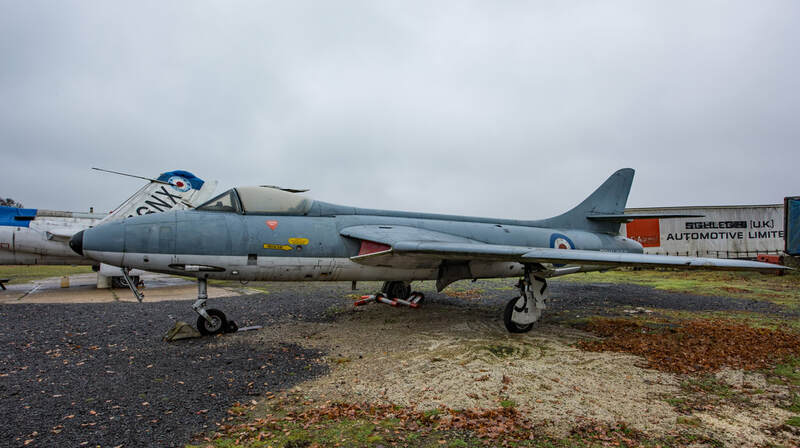 XE489 was delivered to the FAA in January 1956 and in the following decade flew with various squadrons, endings its service career with the Fleet Requirements Unit at Hurn, before being sold to the Historic Aircraft Museum at Southend in 1967. Acquired in 1983 by Mike Carlton of Hunter One, the Sea Hawk moved to Bournemouth and was registered G-JETH, the intention being to return XE489 to flight. 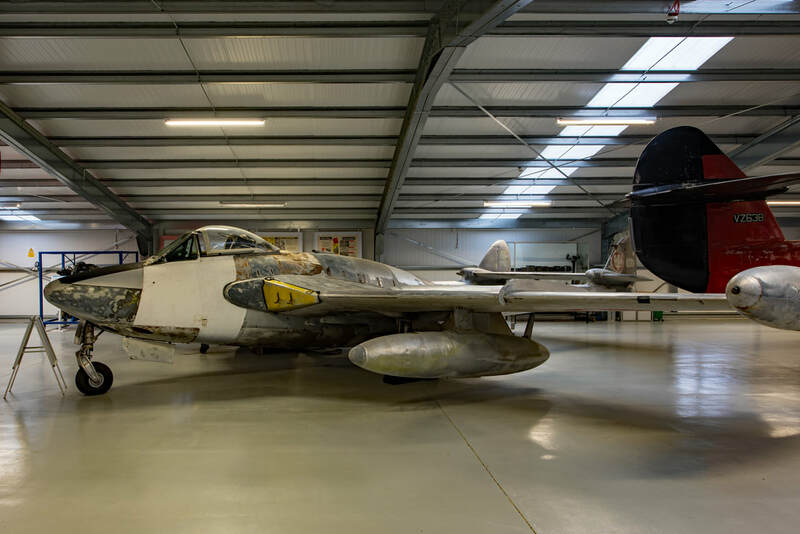 With Mike's untimely death the aircraft was put up for sale and was bought by Peter Vallance, who moved the Sea Hawk to Charlwood, where it acted as gate guard and became the museum's first exhibit in October 1987. The aircraft has since been painted to represent F.G.A.6 XE364 which took part in the Suez Crisis in 1957. Note - although marked up as XE364, this Sea Hawk appears to be a composite of XE489 & WM983. Together with the Meteor, the de Havilland Vampire took Britain into the jet age and the Venom was its successor, first flying as a prototype in September 1949. 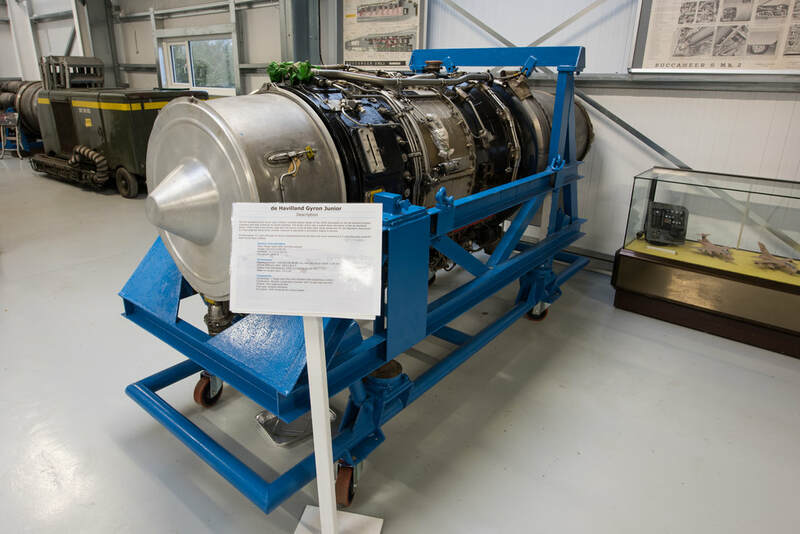 The Venom began equipping RAF squadrons in February 1954 and was powered by a de Havilland Ghost engine that gave it enhanced performance capabilities over the Vampire. Designed as a single seat fighter bomber, the aircraft went onto to be developed into a two seat night fighter, which featured an air interception radar, a navalised version and others going for export or licence building. Gatwick's Venom is a former licence built ex Swiss Air Force example and was in service until the early 1980s. Following retirement a number of Venoms found their way into private hands and preservation, with some remaining airworthy to this day. A drawback with most fixed wing aircraft is the requirement for a runway to be available in order to take off and land. During times of war runways become a high value target, as to deny their use, puts an opposing air force in a less challenging position. The answer to this was to design an aircraft which could land and take off vertically, or at least, be capable to have short take off and landing characteristics, which allowed dispersal into the countryside, and negate the need for runways. In October 1960 the ground breaking prototype Hawker P.1127 XP831 first took to the air and the world's first true vertical take off aircraft was born, which would be developed to become the Harrier. 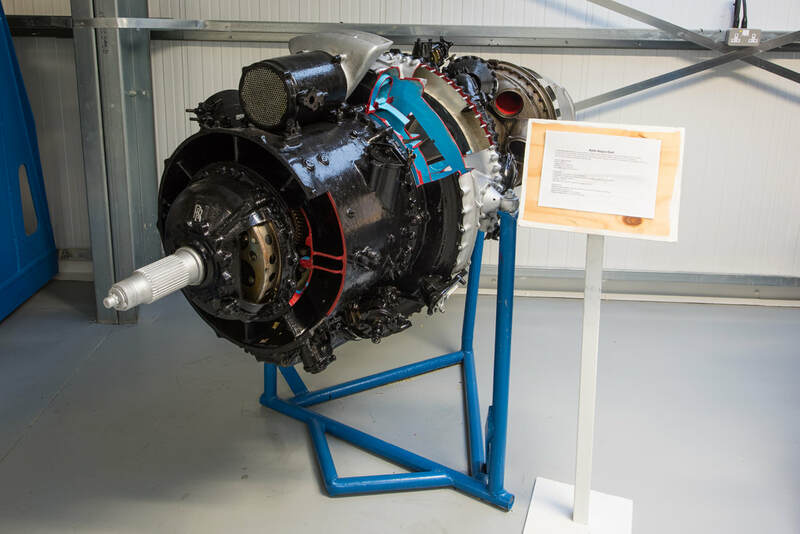 The P.1127 was powered by a Rolls Royce Pegasus engine with vectored thrust which went onto to be used in the Kestral, Harrier and AV-8. In UK service the RAF received the ground attack version of the Harrier and the Fleet Air Arm, the Sea Harrier which proved itself as a very effective fighter in the Falklands War. ​3 (F) & 20 (F) Squadrons as well as a stint with No 233 OCU. Upon retiring from RAF service XV751 ended its military career with the Fleet Air Arm at Lee On Solent, where it was painted in FAA colours. Today the Harrier has been returned No 3 (F) Squadron colours as shown below. 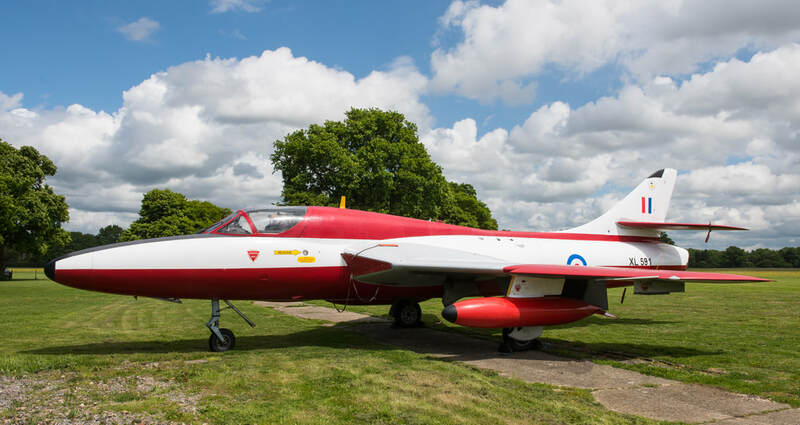 The Hawker Hunter is one of Britain's most iconic aircraft and Gatwick's example is a two seat side by side advanced trainer. 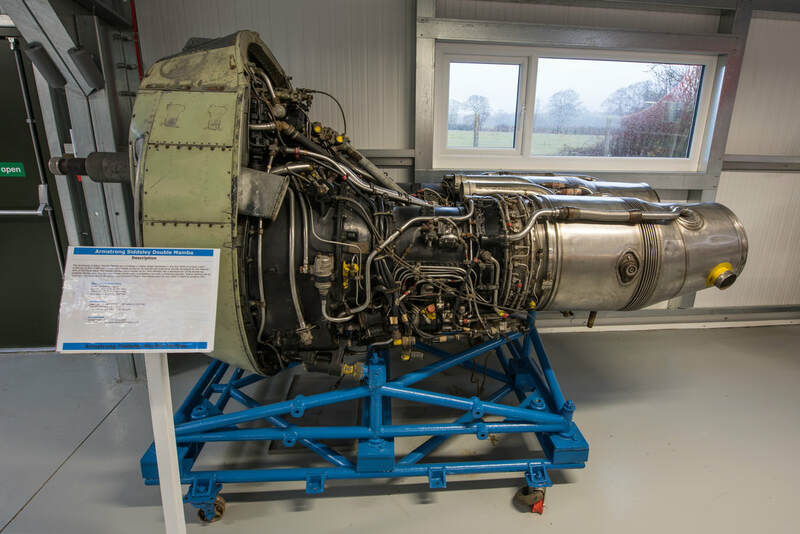 The T.7 was used for many years to instruct RAF pilots, as well as being used at sites such as the Royal Aircraft Establishment & The Empire Test Pilots School Boscombe Down for research and development. 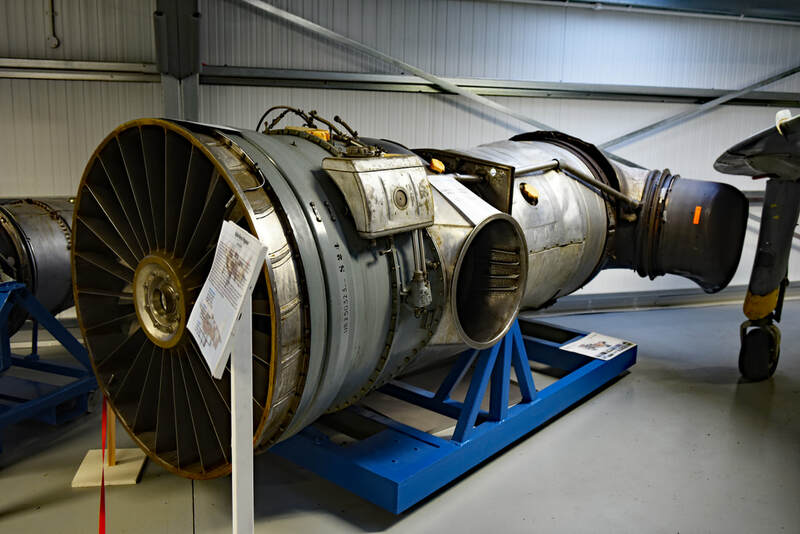 Powered by a Rolls Royce Avon turbojet the prototype T.7 first flew in July 1955, with production aircraft entering service at RAF Chivenor in 1958 with No 229 OCU. XL591 first flew in August 1958 and served with the Fighter Combat School, No 229 OCU, 4 FTS, 237 OCU & 208 Squadron. After retirement XL591 passed through several owners before arriving at Charlwood in early 2002. The Hunter has now been painted to represent her time with No 4 Flight Training School at RAF Valley. E-430 is an export version of the Hunter which was based on the F.4 variant. 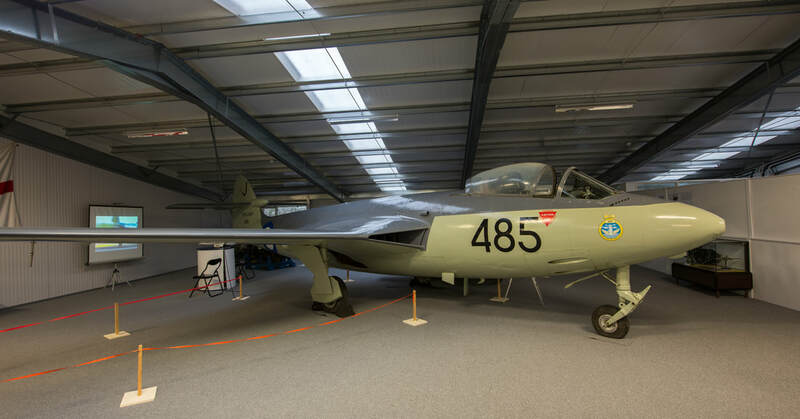 The aircraft was delivered to ESK 724 of the Royal Danish Air Force in August 1958 and was purchased by Hawker Siddeley Aviation in March 1976, its last flight taking place on 14 January 1986. 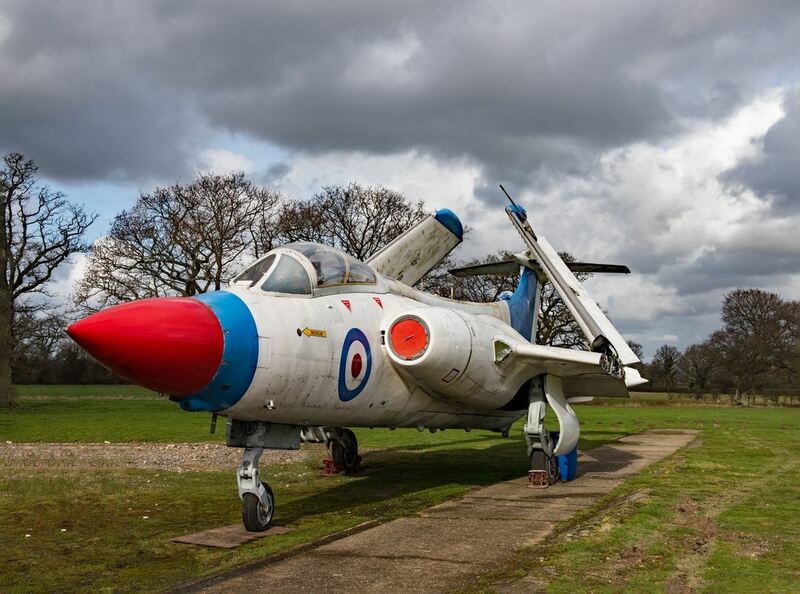 The Hunter was later sold to Thorpe Park Leisure Centre near Chertsey, before disposal to Park Aviation at Faygate. Rescued from the scrapman, E-430 has now found a safe haven at Charlwood and is painted in a scheme that represents a GA.11 as flown by the Fleet Air Arm. Note - Gatwick's website states this aircraft is a composite of three Hunters - Fuselage E-430 - Port Wing - XF418 - Starboard Wing - XG226. The Shackleton has an impressive ancestry, coming from the designers of the Lancaster and Lincoln heavy bombers. The value of long range land based maritime reconnaissance aircraft was proved in World War Two by Coastal Command's Consolidated B-24 Liberators and Boeing B-17 Flying Fortresses. After the war a replacement aircraft was sought and the design chosen was the Shackleton, which was a development of the Lincoln III. The aircraft retained the Lincoln's wings and undercarriage, but featured a shortened re-designed fuselage and Rolls Royce Griffon engines with six bladed contra-rotating propellers. The prototype Shackleton M.R.1 VW126 first flew in March 1949 with the initial production example VP254 taking to the air in October 1950. 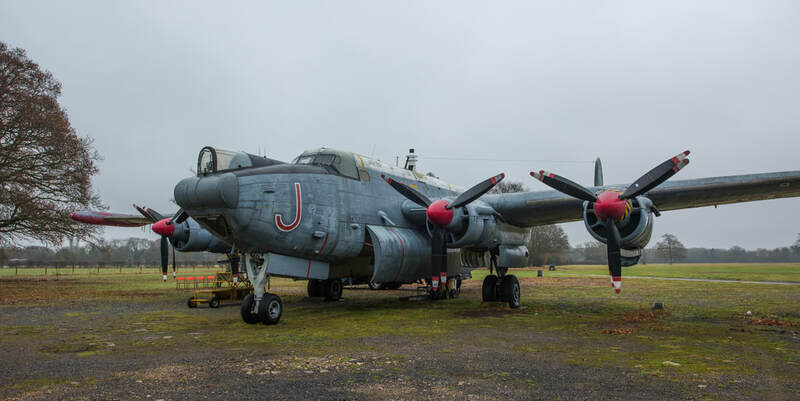 Gatwick's Shackleton is an MR.3/3, an improved variant recognising the need for more crew comfort on long ocean patrols, which could result in considerable fatigue. The aircraft featured a sound proofed wardroom, which must have been a very welcome retreat away from the growl and vibration of the Griffons. WR982 was delivered to No 206 Squadron in March 1958, at the time based at RAF St Mawgan in Cornwall. A loan to Avro at Woodford to investigate engine fading problems followed with a return to No 206 at St Mawgan in June 1959. November of the same year saw the aircraft undergo a period of modification before being issued to No 203 Squadron at RAF Ballykelly, where patrols over the North Atlantic were flown. November 1961 saw more modification work taking place and then a period of trials works which lasted until May 1965, before the aircraft was refurbished and allocated to No 120 Squadron at RAF Kinloss in November 1965. 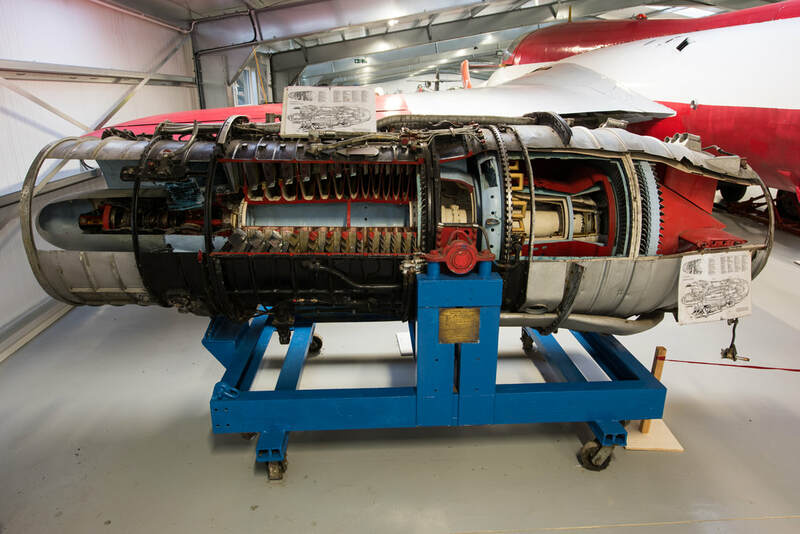 A further modification took place between March to July 1966 with the fitting of Rolls Royce Vipers turbojets to each wing which were to assist with take off. Upon return to service WR982 was assigned to No 201 Squadron at RAF Kinloss. 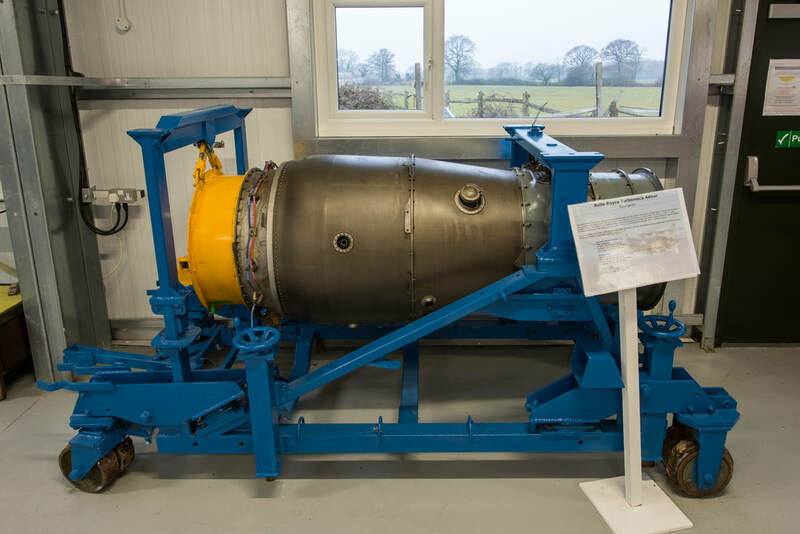 Between March and May 1967 WR982 was at No 60 Maintenance Unit for a radar altimeter upgrade, before more trials work with A&AEE Boscombe Down which lasted until November 1967. Following this the aircraft returned to Kinloss where she remained until withdrawal from service in September 1970. 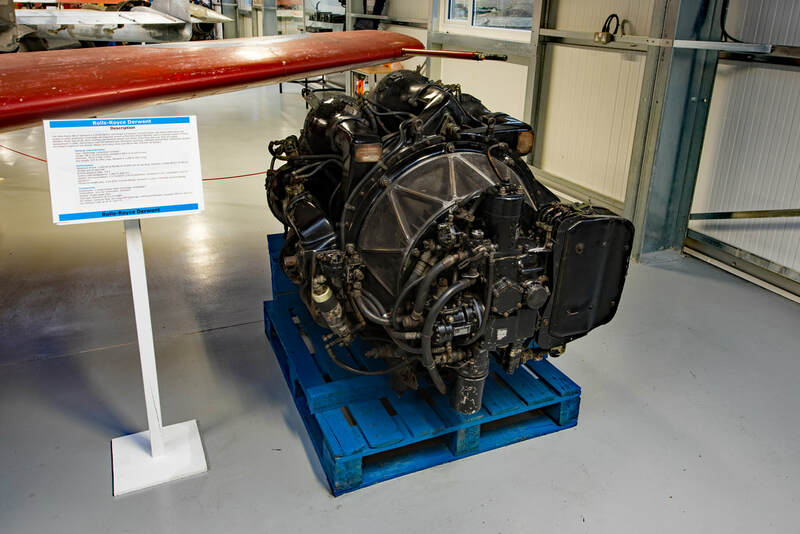 Flown to RAF Cosford in October 1970 WR982 was allocated the maintenance serial 8106M and remained as an instructional airframe until being offered for sale in 1988. The aircraft was purchased and delivered in pieces to Charlwood where it was reassembled by local volunteers. WR982 is now in a ground running condition and often the sound of the Griffons can be heard on one of the regularly held open days. 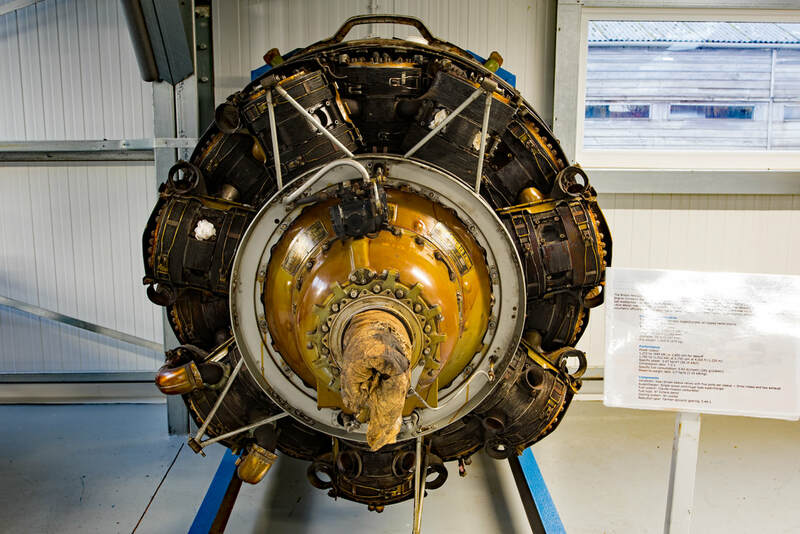 Tours of the aircraft can also be undertaken with guidance from former Shackleton crew members (subject to availability), on days when the museum is open. These are well worthwhile if you want to learn more of just what it was like to fly this most iconic of aircraft. The Sea Prince T.1 (WF118) first flew on 28 June 1951 and fulfilled the need the Royal Navy had for a flying classroom. The aircraft was used as a radio and radar trainer for observers to teach techniques in navigation and anti-submarine warfare. A total of forty two T.1s were built and were finally retired in 1979 when the Handley Page Jetstream came into service. WP308 was first assigned to No 750 Squadron at RNAS St Merryn Cornwall in February 1953. Moving to RNAS Culdrose the aircraft continued in service from October 1958 to May 1979 and was then withdrawn from service. Moving to No 5 Maintenance Unit Kemble for storage, the Sea Prince was eventually put up for sale and was bought by the EuroPacific Corps West Germany in May 1980 but the deal fell through. Offered again for sale in June 1980 the aircraft was flown to Staverton and delivered to Atlantic & Caribbean Aviation for storage. In October 1987 WP308 was again up for sale and after several failed attempts, was bought by Peter Vallance in October 1989. 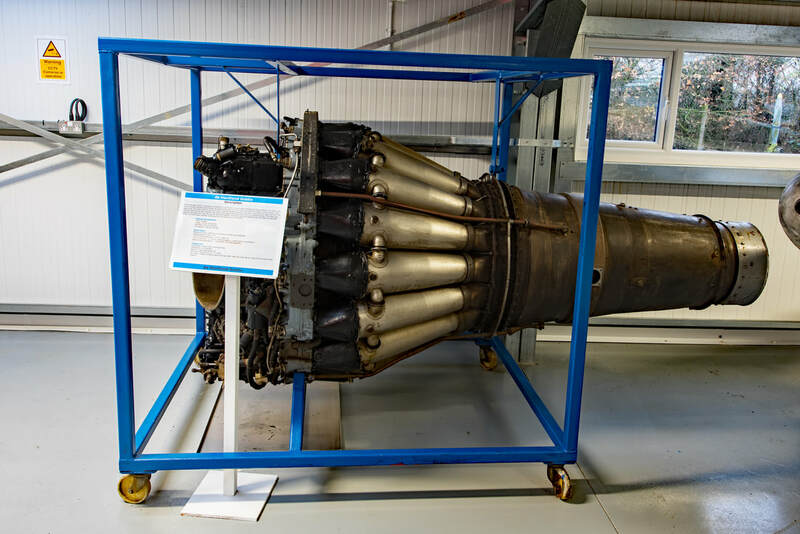 The aircraft arrived at Charlwood in January 1990, where in her time there, engine runs have been undertaken. F.53 53-700 was the last production Lightning to be built and first flew in the hands of P.Ginger on 29 June 1972 from Salmesbury. The aircraft went onto to serve with the Royal Saudi Air Force, returning to the UK as ZF589 in January 1986. By March 1997 53-700 was reduced to a cockpit section, which then found its way to Marine Salvage at Portsmouth. 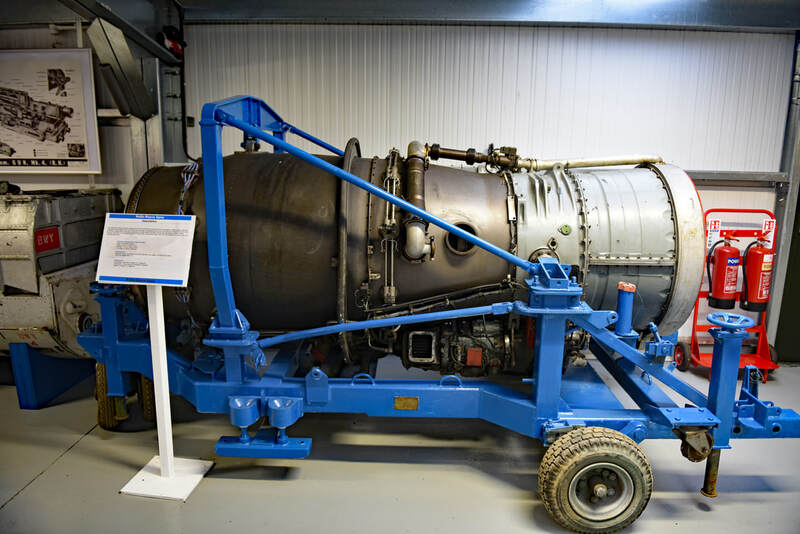 From here it was taken to Luxembourg to be used in the film Wing Commander, before eventually returning to the UK, where it was lost from sight for many years. 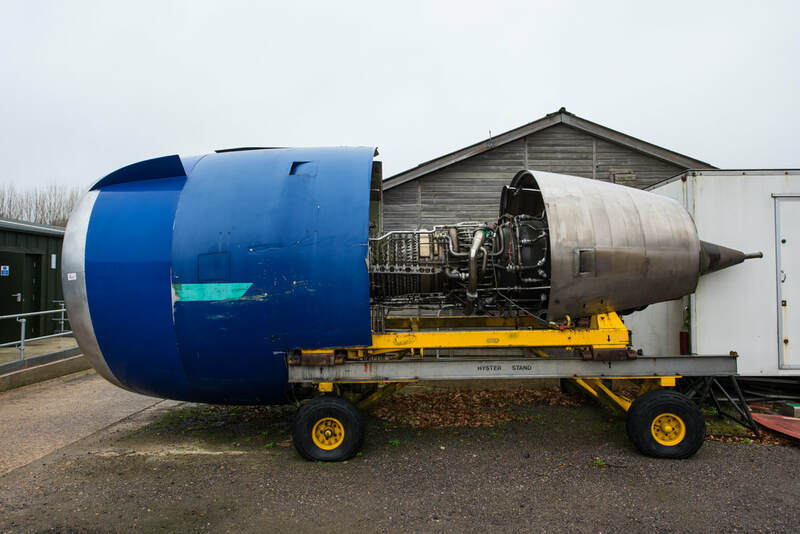 Rediscovered at a paintball park at Bricket Wood St Albans, the cockpit was bought by Gatwick Aviation Museum volunteer Dave Tylee and transported back to Charlwood. This historically significant Lightning survivor is now in very safe hands and its future is well and truly secured. ​The Canberra was the first jet powered bomber to be produced in Britain and the first to serve with the RAF. First flying in May 1949 with W./Cdr. Roland Beamont at the helm, the Canberra had the characteristics of the very successful de Havilland Mosquito bomber of World War Two, in that it was unarmed and had a high speed, the latter of speed outclassing most of the contemporary fighters of the time. Gatwick's example is one of four hundred and thirty B.2s constructed and was built by Avro at Woodford. WK146 was delivered on 1 December 1954 and served with No 102 Squadron and No 59 (Ceylon) Squadron at RAF Gutersloh & RAF Geilenkirchen West Germany. Declared non-effective in April 1965 the Canberra was broken up at No 15 Maintenance Unit Wroughton, with the cockpit going to RAF Abingdon for ground instruction, luckily surviving to to go onto preservation at Gatwick.